The Supreme Court has reiterated that merely because in the migrant state the same caste is recognized as Scheduled Caste, the migrant cannot be recognized as Scheduled Caste of the migrant state. 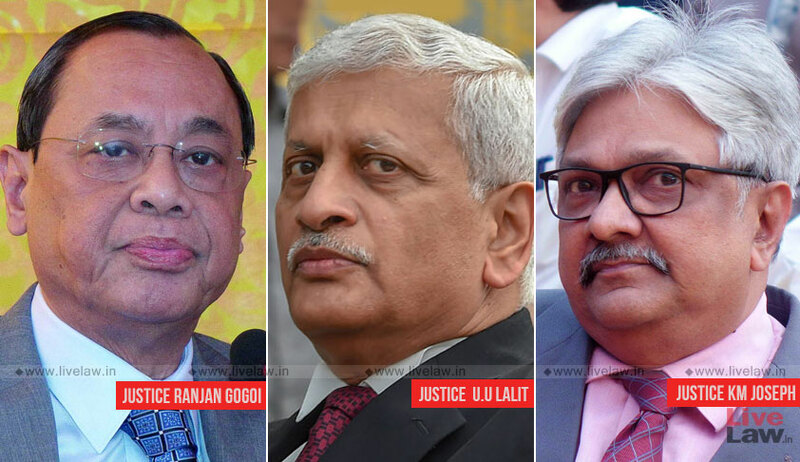 The bench comprising CJI Ranjan Gogoi, Justice Uday Umesh Lalit and Justice KM Joseph disposed of a reference by a two-judge bench made in 2013. The question posed before the bench was whether a person, who is a Scheduled Caste in the state where she was born, will not be entitled to the benefit of reservation after marriage in the state where her husband is living despite the fact that the husband also belongs to Scheduled Caste and the particular caste falls in the same reserved category in the state of migration and that she is a permanent resident of that state. Ranjana Kumari, who belongs to Valmiki caste (Scheduled Caste) of Punjab, married a person belonging to the Valmiki caste of Uttarakhand and migrated to that state, which also recognises the said caste as Scheduled Caste. Her candidature for the post of District Information Officer (reserved posts) was rejected on the ground that she cannot take benefit of reservation in the State of Uttarakhand because she is a Scheduled Caste (Valmiki of Punjab). The high court dismissed her plea challenging the rejection order, observing that right to be treated as a member of reserved category is directly attributable to birth and a person can claim the benefit of reservation only in the state in which he/she is born and not the state to which such person may migrate after marriage or otherwise. In a short order, the bench referred to constitution bench judgments in Marri Chandra Shekhar Rao vs. Dean, Seth G.S. Medical College and Action Committee on Issue of Caste Certificate to Scheduled Castes & Scheduled Tribes in the State of Maharashtra & Anr. Vs. Union of India. The court said that, in the above cases, the court has taken the view that merely because in the migrant state the same caste is recognized as Scheduled Caste, the migrant cannot be recognized as Scheduled Caste of the migrant state. “The issuance of a caste certificate by the State of Uttarakhand, as in the present case, cannot dilute the rigours of the Constitution Bench Judgments in Marri Chandra Shekhar Rao (supra) and Action Committee (supra),” the bench added while dismissing the appeal.